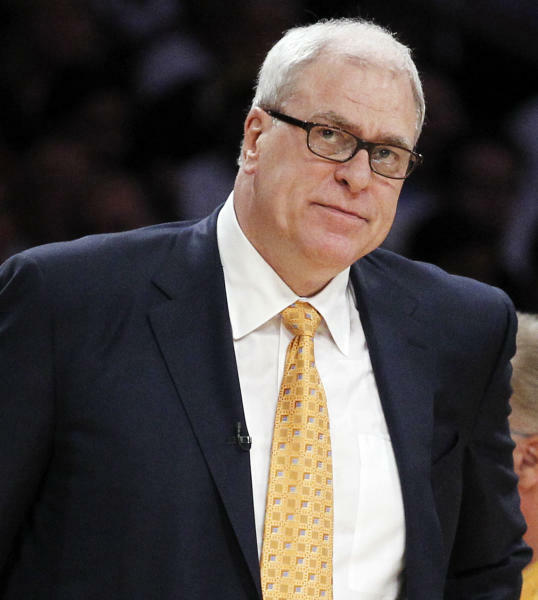 Carmelo Anthony said Wednesday that he has heard Phil Jackson will be "coming on board" with the New York Knicks, the strongest indication yet that the 11-time NBA champion coach will soon be taking over the team's basketball operations. Anthony went as far as to suggest that it's no longer a question of if Jackson will rejoin the Knicks, but when. "Everything's in his hands now," Anthony told reporters in Boston at the Knicks' gameday shootaround practice. Neither the Knicks nor Jackson had any immediate comment. 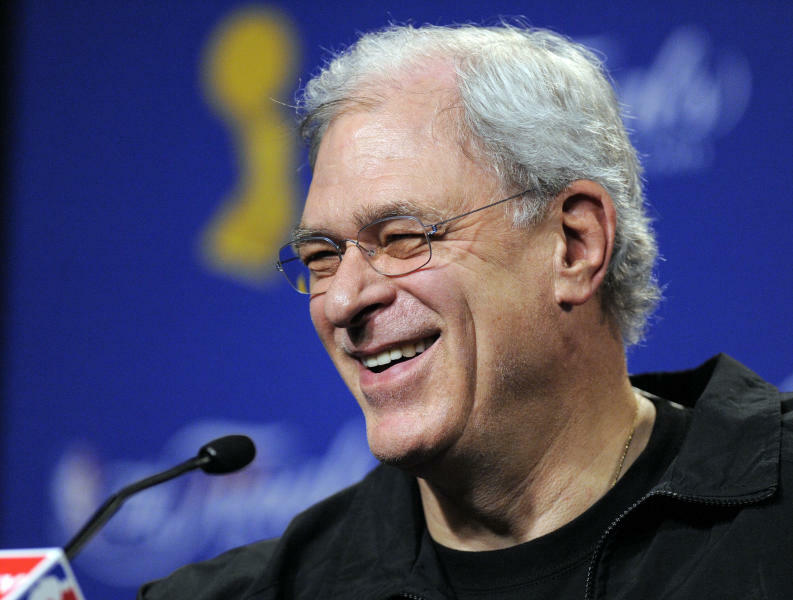 Jackson played on the Knicks' last championship team in 1973, and later went on to win six NBA titles as a coach with the Chicago Bulls and five more with the Los Angeles Lakers. "I'm agnostic as to what team, but I would love to see Phil Jackson" back in the league, NBA Commissioner Adam Silver said Wednesday after speaking to the Boston College Chief Executives' Club of Boston. "To have one of the greatest ever sitting on the sidelines is a loss for the league," Silver added. "The league needs him. I hope he lands with some organization." Jackson, 68, has said in the past that teams have tried to lure him back to the NBA, and there has been speculation for several days that this offer from the Knicks would be good enough to get him to interrupt retirement. Jackson has been out of the league and largely out of the public eye since 2011, when he ended his coaching stint with the Lakers. "I still don't have a lot of the details, all the details," Anthony told reporters. "Have I heard? Yeah, I've heard that he will be coming on board. It's not official yet. You can always use Phil Jackson's insight on whatever ... his philosophy, his mindset, his resume, what he brings to the game, what he brings to a team or organization. That goes without even saying, so we'll see how that plays out." Anthony said he hasn't spoken with Jackson about his plans for the Knicks. If this deal becomes official, that will likely change quickly, since Anthony could leave this summer as a free agent. Anthony said the Knicks told him about their pursuit of Jackson over the last couple days. He gave no indication if Jackson's potential involvement with the Knicks would affect his free-agency plans. "It wasn't something that was do-or-die based on my decision," Anthony told reporters. "Them guys was going to make that decision regardless of what I said." Ever since Jackson last coached, there has been a certain amount of guessing about when he would return to the league — or if any offer really could get him to leave Montana, where he's spent much of retirement. He didn't exactly slam the door shut in 2012, telling HBO's "Real Sports" that "there might be" a job that would bring him back to the game. In that same interview, Jackson called the Knicks' roster at the time "clumsy" and said Anthony had to become a better passer. But he also seemed to suggest that if he wanted, he could still win. "The game doesn't pass a person by," Jackson told HBO in that interview. 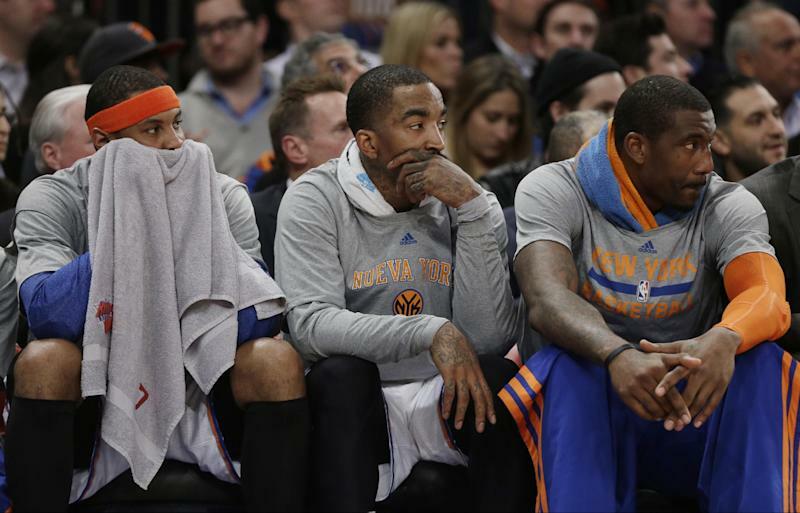 The Knicks won 54 games last season and considered themselves to be title contenders. They entered Wednesday on a four-game winning streak, but were still No. 10 in the Eastern Conference standings, 3½ games out of the eighth and final playoff spot. Already, though, speculation is rampant that major changes are coming before next season. Knicks coach Mike Woodson has been on perhaps the hottest of hot seats, Anthony could go elsewhere, and it would certainly make sense if Jackson surrounded himself with people who are familiar with him and the style he used to coach the Bulls and Lakers to the 11 titles. "You can't take for granted what he knows about the game of basketball, whether he's on the sideline or in the front office," Anthony told reporters. "I'm sure he will try to his best to do what he has to do to try to build a championship team. He knows how to put guys together, put a team together. We'll see what happens."